In a rare example of independent photojournalism, Lynsey Addario published photos of some wounded victims of U.S/NATO actions in Afghanistan. (3) ( #note ) The first photo below shows Gul Juma, 9, who lost her arm in a NATO attack in Sangin village in December 2008. 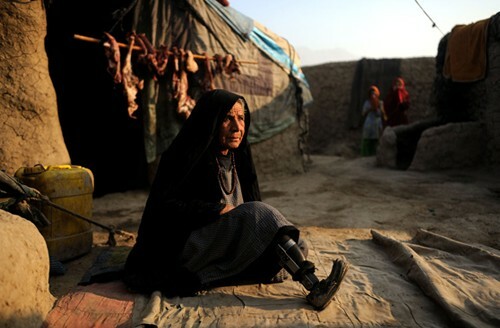 The second photo shows legless Rabia, 70, living in a Kabul refugee camp whose husband and son were killed by NATO forces. 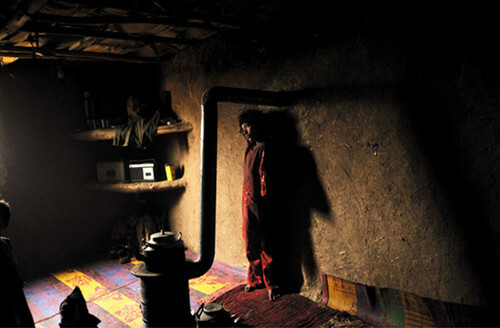 The third photo shows Syed Mohammad, 67, in his home in the Hotkheil neighborhood of eastern Kabul. 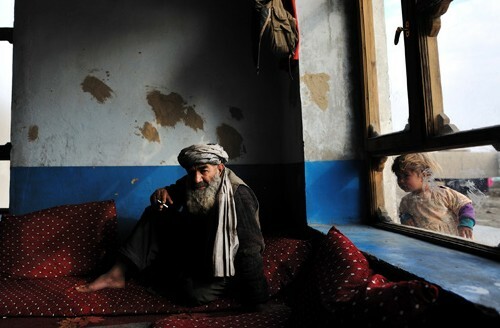 U.S. Special Forces and their Afghan satraps burst into his home and executed four members of his family. On the other hand, non-American media in war-torn regions and European media are more likely to publish photos of those wounded or killed by U.S/NATO forces. 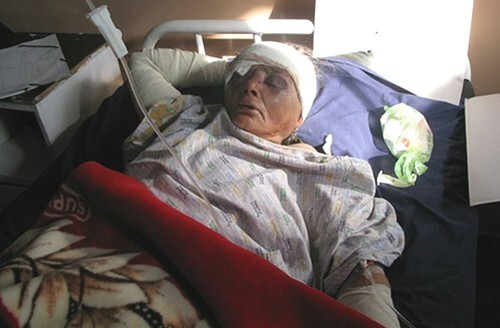 For example, the attack upon Syed Mohammad’s home which killed his four family members at midnight of August 31/September 1st 2008 was reported upon by Pahjwok Afghan News and a photo of the victims was published. Reuters, Agence France Presse and Quqnoos.com published photos of the victims. 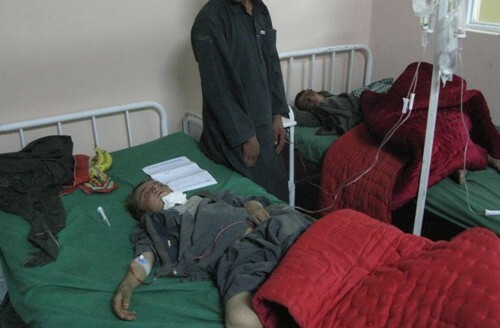 The incident was described in the Afghan Victim Memorial Project with accompanying photos. (4) ( #note ) U.S forces raided the mud-walled home, blasted open the gate with explosives and stormed into the home. The occupation troops fired weapons killing a father, Noorullah, his two young sons, and wounding his wife. A neighbor, Abdul Wakil, told the Deutsche Presses Agentur, “The two dead children were 2 years old and 9 months old. Did the soldiers think they were terrorists? Or they knew that one day they will become Taliban? 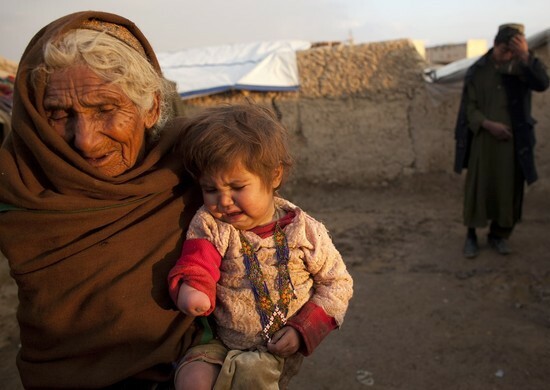 Then they should kill us all.” Mrs. Noorullah died in a hospital at 11:30 AM from her wounds. 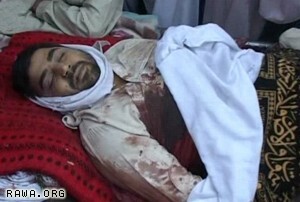 Tolo TV, a private Afghan channel, showed footage of the dead bodies surrounded by angry protesters. Predictably, “the U.S-led coalition denied any involvement in the attack.” The attack was probably carried out by a team of US Special Forces, operating outside of the usual command structures. Analysis of mainstream U.S. news-magazine photo coverage during the early years of the Afghan conflict clearly revealed that the printed photographs offered prompts for the prevailing government version of events, e.g., our troops don’t kill and maim. (6) ( #note ) One recalls the utter opprobrium heaped upon Al Jazeera in late 2001 for publishing photos of the Afghan victims of U.S. bombs. 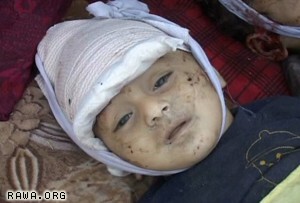 On November 12, 2001, the Kabul office of Al Jazeera was bombed by U.S war planes. Pay back.